A new cross-border pro-life party has said it could provide a “warm welcome” to politicians disillusioned with both the SDLP and Fianna Fail, as talks between the two about a possible merger continue. The still-nameless party (which amet at the weekend in Dublin to try to forge a constitution and decide what it will be called) has been trying for months to woo dissatisfied members of its more established united Ireland party rivals. One of the senior figures involved in the new party is Peadar Toibin, a TD who quit Sinn Fein two months ago over its pro-choice stance. 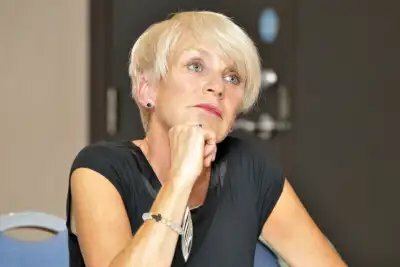 With the past week having seen the SDLP confirm that discussions between it and Fianna Fail are now “coming to a conclusion”, Dr Anne McCloskey – one of those involved with the new party – has said such any link-up between the two could spur disatissfied members into their arms. In recent times, the leaderships of both Fianna Fail and the SDLP have come out in favour of relaxing abortion laws, putting them at odds with substantial portion of their rank-and-file membership. Dr McCloskey, a Londonderry GP who narrowly missed out on winning a seat as an independent in the 2016 Assembly election, told the News Letter when it comes to an SDLP-Fianna Fail tie-up: “I’d see that as beneficial to Peadar’s movement. “I can’t see how that would be attractive to nationalist/republican pro-life people. She said the party will be fielding candidates in May’s Northern Ireland’s council elections.